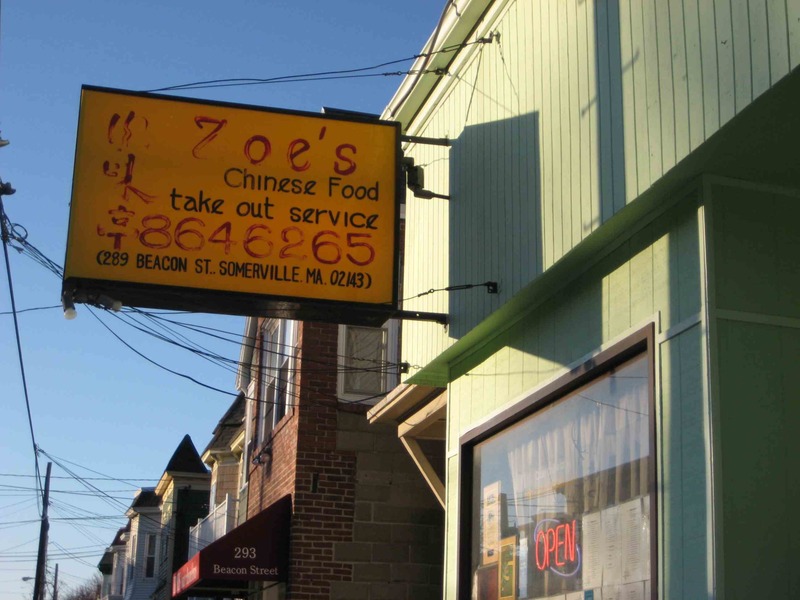 I did my WBUR interview with Here and Now at Zoe’s in Somerville, which is ote cited asone of the most authentic Chinese restaurant in the Cambridge/Somerville area. (See Yelp reviews, which have mixed opinion on the authenticity). It’s a place where the dominant language spoken over tables is Chinese — especially last night since it was Good Friday, which seemed to knock out the Catholic foodies that I sometimes observe there. I think our table was the only one where we were speaking English. They offer a lot of dishes that you can’t get in normal American Chinese restaurants — selections of Sichuan, Hunan, Northeast (Dongbei!) 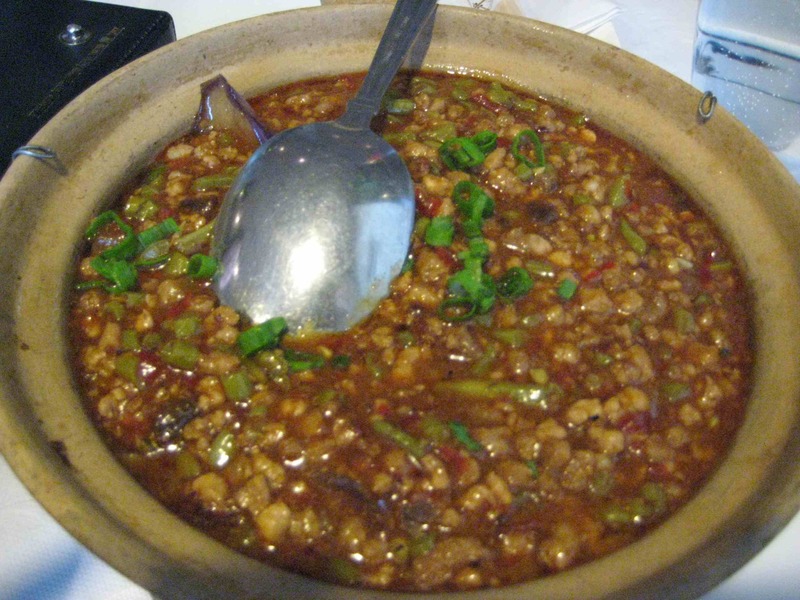 Here is a Hunanese dish, fengsha eggplant in a stonebowl. They also have Mao-family styled red braised pork, which is really fatty, but a big hit in China when he was head of the government. 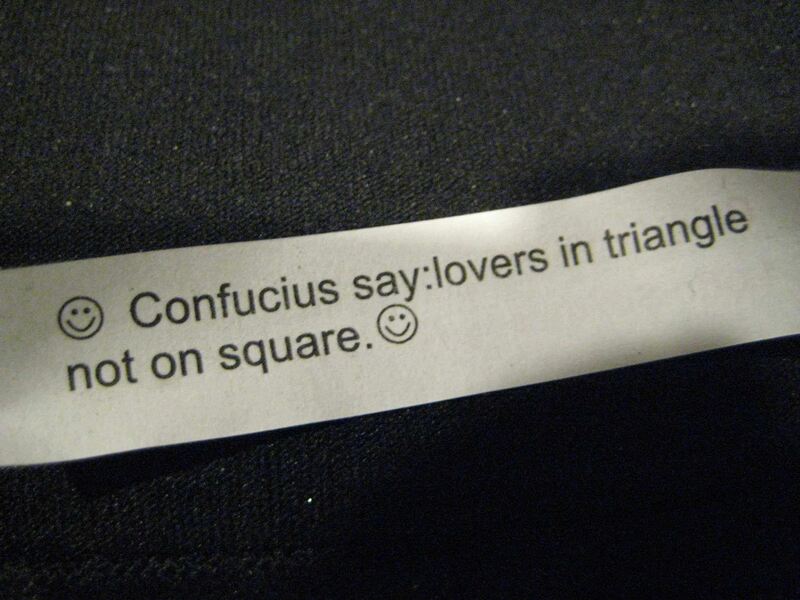 They do however serve fortune cookies, and we even got an old-school one where Confucius spoke up a perplexing enigmatic way: “Confucius says, lovers on triangle not on square.” Anyone care to interpret?